The Delta Bedroom Collection is a fusion between modern and rustic, creating the perfect look for a modern bedroom looking to showcase some natural beauty as well. The low profile and minimalist design of the collection is undeniably in vogue, giving your bedroom an aesthetic update. 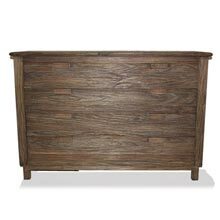 Each piece is constructed with solid Mahogany, which features a distressed finish that adds a touch of warmth to the collection. 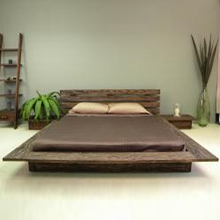 It is also constructed with durable tenon joinery to ensure its beauty will grace your bedroom for years to come. With its emphasis on the natural beauty of hardwood combined with its low profile, this collection creates Zen-like tone for the entire bedroom.